Before his appointment to this position in November 2012 Sayah was based in Islamabad and reported for CNN on wide range of stories from the South Asian region. Memorably, the correspondent travelled to the flood-ravaged areas of Pakistan to report on the human toll of the disaster and relief operations for the millions affected. Sayah also covered the Airblue plane crash on the outskirts of Islamabad and interviewed retired Pakistani General Hamid Gul about allegations, which appeared in documents released by WikiLeaks, that Pakistan had secretly supported Al-Qaeda. Previously he has covered stories including Pakistans general elections; The Pakistan government launching its biggest military offensive against the Taliban; serial bomb blasts in western Karachi; former Pakistani President General Pervez Musharrafs resignation; the suicide truck bombing of The Marriott hotel in Islamabad; the then presidential candidate, Barack Obamas first visit to Afghanistan, interviews with Pakistani president Asif Ali Zardari & prime minister Yousuf Raza Gilani. Sayah has also followed Pakistans reactions to the Mumbai terrorist attacks. 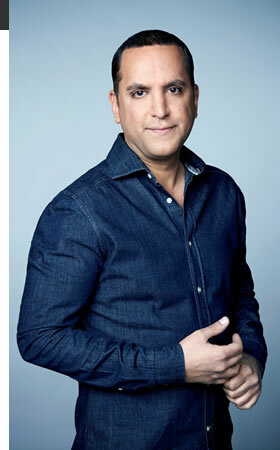 Sayah joined CNN from WXYZ-TV in Detroit, Michigan where he was an investigative reporter and anchor. In addition to WXYZ, Sayah has worked at KOMU-TV in Columbia, Missouri, WTAJ-TV in Altoona, Pennsylvania, and WTVR-TV in Richmond, Virginia. In his journalism career spanning more than 13 years, Sayah has covered a variety of high-profile national and international stories including Hurricane Katrina and the sniper shootings in the Washington, D.C., area. Sayah earned a bachelors degree in communications from Pepperdine University and a masters degree in journalism from the University of Missouri, Columbia. Born in Tehran, Iran, Sayah left for the U.S. in 1979 during the Islamic Revolution. Sayah is fluent in Farsi and is conversational in French.